USA Today is reporting that A La Mobile, a small software developer, plans to announce today a host of new applications designed to run on the Google-backed operating system, Android. For now the applications are installed in an HTC smartphone, and include a browser, camera, games, contacts manager, audio player and more. HTC is just one of 34 companies in Google's Open Handset Alliance, so this is really just the start. Google says to expect an Android-based phone later this year. Also, the website passfans.com has many foreign books on science, mathematics, medicine, business, economics, etc., and also passwords for jstor, sciencedirect, springerlink, and others. Get in and see how great this is! Google android apps are just great, this company has a lot to offer, it amazes me. What is next on the plate, what can they still make, i really don't know, but they sure have something in the kitchen, baking for us.. again! And Microsoft keeps trying to catch on! 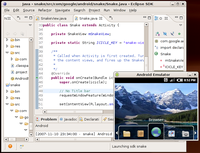 What Computer Language Do I Need To Learn To Create Google Android Application? I only took 2 semesters of C++ and only retained the memory of creating that stupid "Hello World" program. 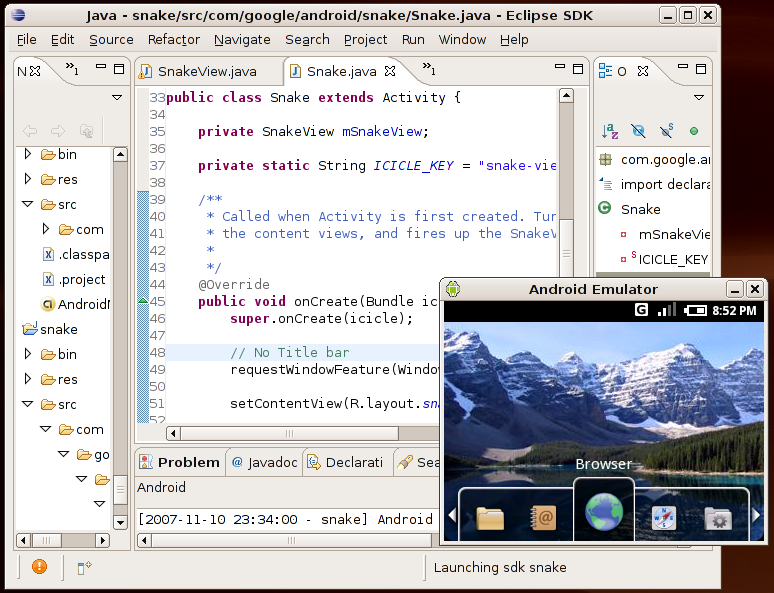 I want to create my own Apps for Google's Android phones. Can you recommend what computer languages I should be learning (like Java) to make creating these apps easier? Which operating system is best - google android or windows mobile? Who says that nothing top-notch is ever for free? Here are some Google Android Apps that are definite must-haves – but won’t cost you a dime. 4 Most Useful Google Android Apps – for Free! About google android or windows mobile-I would personally recommend android because of its ease of use and how much you can do with it once you really learn about it. Just be careful what you download. Android is an environment where the biggest limitation is your imagination. Your imagination can create the most different and unique thing. Just imagine and work for it. The flexibility of the android phones makes it a very good platform for developing apps, but one thing I didn't like about the androids is that it has too many models and they all have different benchmarks and hardware. See that? A platform for creating great apps, not for squeezing money out of people. OS mobiles are mostly used by people than android. Most companies are featuring this system like LG, Motorola, Acer and HTC. And this featured will be more affective in Motorola's mobiles, as they are the nearest competitor of Nokia. It's good to see them feeding the platform, to help the loyal customers get the experience they want with the Android. I liked the Android that I bought last month. I think there is no phone like Android recently, features are really awesome.Each penny spent on it is useful. Android applications far outcome the other phones. I think it is the best phone one can get in the market till today. Good to see more and more apps coming out for Android phones. iPhone used to have the lead, but it seems as though sales of Android based phones is picking up and you'll see a surge in apps as a result. Android has come such a long way over the last couple of years. Really great to see it doing so well. Google renders their service in such a way that the customers also enjoy it. Google had achieved goals to be on the top rank of the search engines. And it is always been good to know this.